Hope all of you are having a gorgeous week going ahead!!! 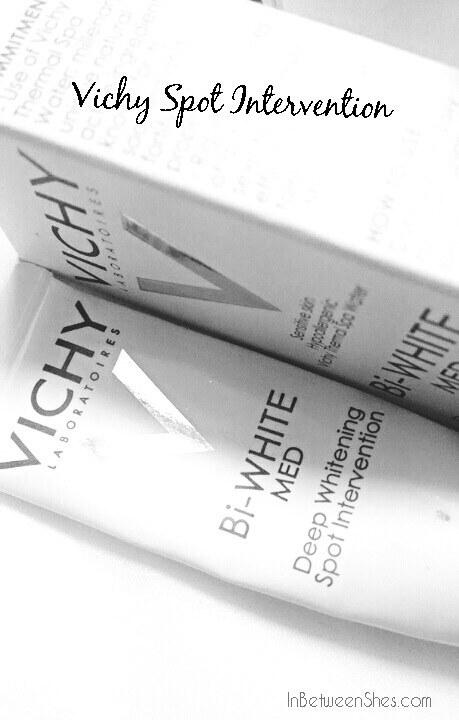 I had already posted the Vichy Bi White Med Night cream, and had received a healthy audience! !I had been quite liking this range and had been using the spot intervention and the night cream simultaneously!! It’s been more than two months now, my night cream is on the verge of finishing and the spot intervention is entirely over!!! Here is how much this worked for me!!! 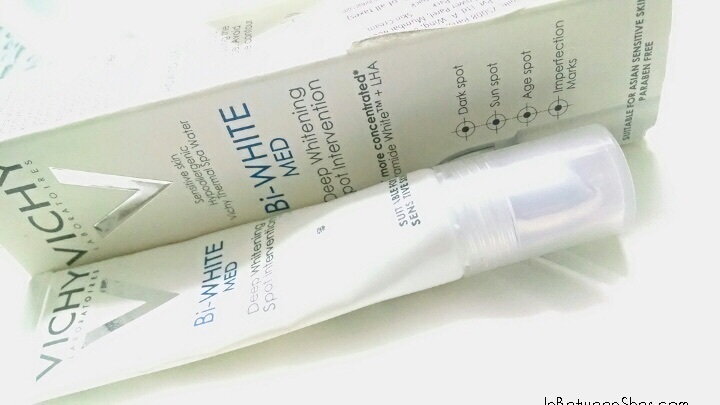 It is 5X more concentrated than the Vichy bi white Med Essence (from the same line). Paraben Free, no fragrance, suitable for sensitive skin, hypoallergenic. Targets all kinds of spots to reduce them in size and color. Price: 1390 INR for 15ml mini tube. The packaging is decent, it’s a mini tube, with a silver metal tip. I love that they incorporated a tip, which allows precise content and hygienic display of the formula. I am a combination to oily skin in summers, and for me the consistency worked fine as it did not make me further oily. The formula is light, and disappears into the skin, in a go!!! I have used this continuously without fail for 45 days, after which there were irregularities. So the spot intervention, as the name suggests is a concentrated treatment, and has to be applied on clean skin, directly over the areas of need. The best time to apply this, I feel is in the night, so that it works as a targeted treatment during 8-10 hours of your relaxing night sleep. During my night care routine, I thoroughly clean my face with a cleanser/face wash, pat dry with a soft face towel, apply the Vichy Bi White Med Spot Intervention, on the areas of the need. 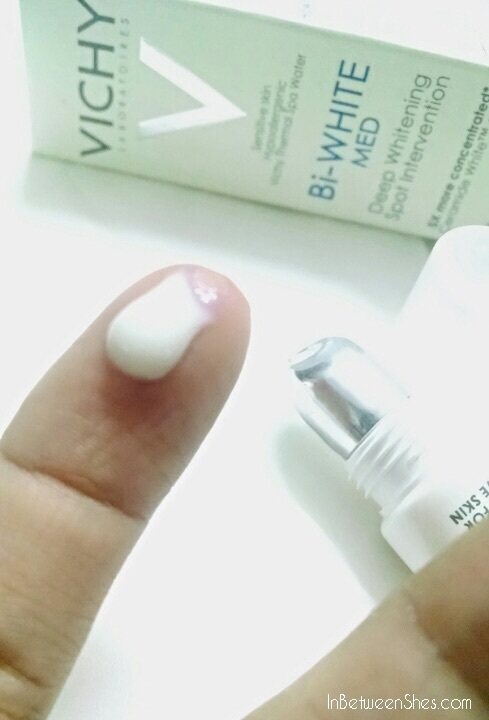 Walk around for a few minutes, finishing small chores here and there, and then apply the Vichy Bi White Med Night Cream, all over the face as a moisturizer, and then go to sleep!! Initially when I started using this, I had applied the spot intervention twice a day, I added this in my morning to do’s, for about 10-15 days, when I started seeing healthy visible effects, I made this locked for the night care alone. In the initial 10 days, my skin did start becoming more and more even but I coudnt really see much of a difference in my pigmentation stretch. I kept my heart full, and patiently waited for the results to be visible. Honestly, my pigmentation patches did start to become lighter and my skin came out being more even day by day!! The change wasn’t just visible to me but even my friends and family, and that did boost me up, for the regular rhythm!!! To this date, my pigmentation marks have seriously become very very light. Though as far as the size is concerned, I didn’t see any reduction. But yet, I am just happy with discoloration gone!!! Very happy indeed!! The formula is enriched with LHA, which serves as a gentle exfoliater and removes dead cells loaded with Melanin (the pigment responsible for tan/spots), from the skin surface. It also provides deeper penetration in to the skin layers and works as an illuminator. Vitamin Cg and Ceramide White, both inhibit Melanin production from its source. Vitamin Cg, is an efficient free radical scavenger and protects skin from the losses of harmful UV Rays!!! Ceramide White, is the primary lipid of the epidermis. 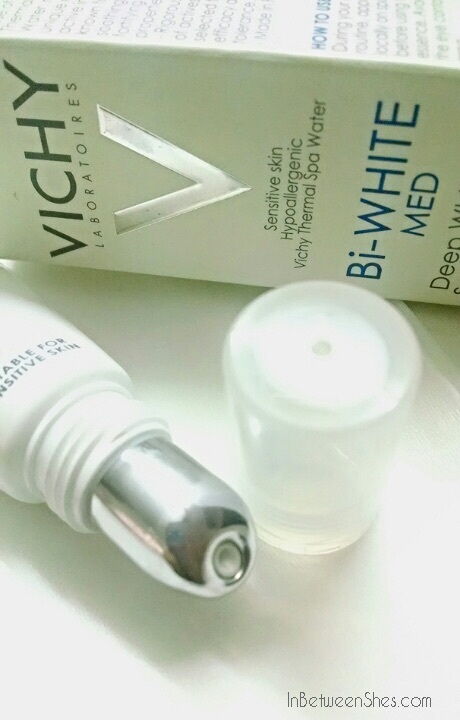 It targets enzymes tyrosinease, that is responsible for pigmentation and also balances water retention in the cells.The formula is prepared using Vichy Thermal Spa Water, which has all essential minerals, required for a toned and healthy skin. It is definately promising in its claims!!! Worth the money!! You can see amazingly healthy changes in your complexion within two weeks of application. I tried a sample of this and quite liked it. Looking forward to buying the full pack.